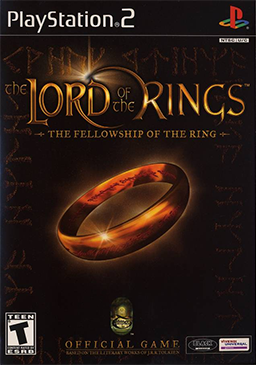 The Lord of the Rings: The Fellowship of the Ring is the name of three different video game adaptations of J. R. R. Tolkien's novel The Fellowship of the Ring, an Xbox version developed by WXP, a PC and PS2 version developed by Surreal, and a GBA version developed by Pocket Studios. All versions of the game are published by Black Label Games, an imprint of Vivendi Universal Interactive. The narrative of the game can be roughly divided into four acts, each played out by one of the three main characters, with some variation. The first act deals with Frodo's journey to Bree. It begins peacefully in the Shire as Frodo has to make the final arrangements for his departure. Although there are many optional quests involving the inhabitants of Bywater and Hobbiton, the main story focuses on the selling of Bag End. 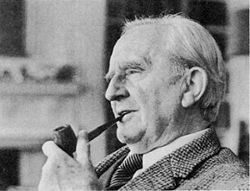 Once this is complete and the Ring is retrieved Frodo must escape the Shire undetected by Black Riders to meet with his companions at Maggot's Farm.